It's supposed to be good for you, right? Resolution adopted. Now we just need something to laugh at. Try the PM Show with Juan Medina at Six Rivers Brewery on Saturday at 8:30 p.m. ($7) Juan Medina and Jesse Hett host Anthony Medina and Ron Chapman from the Bay Area. Tony Persico, Ivy Vasquez and Joe Deschaine will be on the mic, too, if you prefer the funny you know. Josh McIntosh provides the tunes. Brent Fiasco has one foot on a banana peel. Think you can do better? Before you heckle, give it a shot yourself at Savage Henry's Comedy Open Mic at the Jambalaya at 9 p.m. on Tuesday ($3). Or just watch braver folk test out their material — like a focus group with beer. Need a little more adrenaline with your laughter? 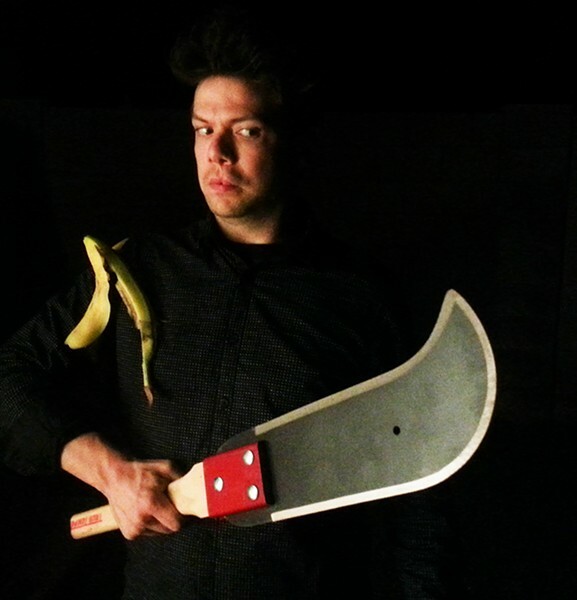 Brent Fiasco presents his one-man Fiasco Side Show at the Arcata Playhouse at 7 p.m. on Sunday ($6). That means vaudevillian hi-jinks, juggling odd/dangerous things, slapstick and a host of stunts you shouldn't try at home. Local juggler Steven Weven will also be keeping balls, pins and who knows what else in the air.